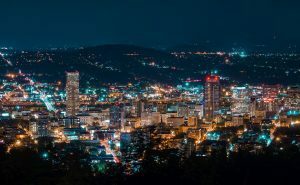 When looking for a reputable moving company for your relocation to or from the Portland area, trust in the professional moving services of North Park Transfer & Storage. With over 80 years of service in the moving industry, we have helped thousands of families and businesses with fast, friendly, reliable service for their moving needs. We are fully licensed and insured and only hire topnotch background-checked employees so you can have confidence that your belongings are in the right hands throughout the moving process. Furthermore, as an interstate moving agent for Stevens Worldwide Van Lines, we offer our customers the many benefits that come with partnering with an international industry leader in delivering world-class moving services. Think of it this way: You’ll get the benefits of two moving companies for the price of one! When you arrange your move with us, there are no hidden costs and we provide our services on flat rates at competitive prices. We also provide in-home written estimates to ensure accuracy in our quote to you. And when it’s time for the moving truck to be loaded, we itemize everything on an inventory sheet so nothing is lost or forgotten in the process. 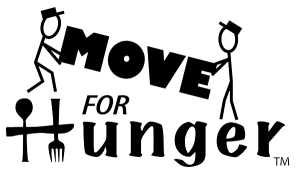 Our movers are highly trained, so you can count on us to provide you with stellar moving services that can’t be beat. We want your move to go just as you planned! At North Park Transfer & Storage, our top priority is customer satisfaction and that means keeping the customer happy with our continued dedication to our high-quality moving services. We pay great attention to detail, and we will move your items with extreme caution ensuring that they are unharmed in the process. You want reliable movers who you can trust with every aspect of your move, so contact the dependable movers at North Park Transfer & Storage to help you with your next local move or long distance relocation. 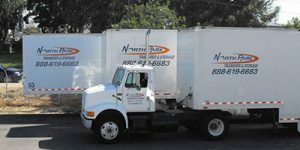 North Park Transfer and Storage is a full-service professional moving company that can handle all your relocation needs. We specialize in local moves, long distance moves and can even handle overseas international moves. Do you need your furniture disassembled and then reassembled in your new home? No problem! Would you like help packing and unpacking? We can handle that, too. Even for items that require special handling such as antiques, gun safes, pianos and pool tables, we have the experience and the expertise to move these items safely. Our services extend beyond moving, as well. We also offer clean, safe, secure warehouse storage on both a long-term and short-term basis. Our storage warehouse is climate-controlled so your personal belongings stay intact throughout the duration of their time spent in storage. Kill two birds with one stone by choosing a moving company who will provide you with both moving services and storage services that you can utilize, too! Contact us today, or fill out our online form for a free quote for your local relocation, your long distance move, or your move overseas. Don’t wait to book your move with North Park Transfer & Storage in Portland, OR! We’re excited to have you as a customer, and we’re ready to help you every step of the way with your move. that we greatly appreciated your efforts and diligence in getting our heavy equipment moved to our new location. Our equipment and systems are extremely valuable to us and we appreciated the care you took in getting it loaded up and moved. A fine job! We will be working again together soon.